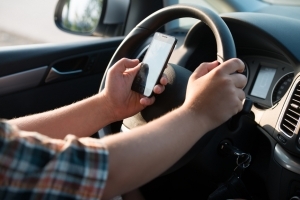 Take a second to digest this statistic: The National Safety Council reports that cell phone use while driving leads to 1.6 million crashes and about 330,000 injuries each year. That’s one out of every four car accidents. Despite the alarming data, the heartbreaking stories, and the launch of multiple national campaigns, Americans are still frequently using their cell phones while behind the wheel. In the back of our minds, we all know that texting and driving don’t mix, but for some reason, not all of us can break this bad habit. Luckily, there are a few apps out there that can be used to help you keep your eyes on the road. If you are one of those people whose will power dissolves upon hearing your phone ding from the console, check out these apps before your drive home today. Drive First – this is an app from Sprint that automatically locks your phone when you start driving. Don’t worry, it does allow you to pick three apps that will remain accessible, things that are handy on the road such as Google Maps or your music, and to select “VIP” contacts to bypass the block. So don’t worry, you can make sure you don’t miss important calls from your boss or spouse when using this app. DriveMode – DriveMode is different than most apps out there; instead of disabling your phone, it makes it easier to use. This app replaces your phone’s functions and appearance with simple-to-use features that make engaging with your phone while driving less dangerous. For example, instead of having to press a small button to take an incoming call, DriveMode makes your entire screen into an answer button so you can tap anywhere to take the call. Focus – this app actually trains you to not use your phone while you’re on the move. It will tell you to pay attention and give your reminders to remain focused. This app also provides reports of your progress and how the app may be improving the unwanted habit of texting while driving. TextNoMore – TextNoMore is really cool because it offers incentives for successfully reaching your destination without texting. This service has partnered with retailers to provide different coupons that you can unlock and use. Take advantage of the technology of today – turns out the device we’re all so distracted by could also help us focus on the road.